Democrat and Organized Labor Stooge Mike Frerichs - candidate for Illinois Treasurer - is rolling out his campaign this week. As he travels around the State of Illinois touting his credentials, we here at the Illinois Truth Team wanted to make sure he was answering some of the tough questions. He's #partoftheproblem in Illinois. NOT the solution. 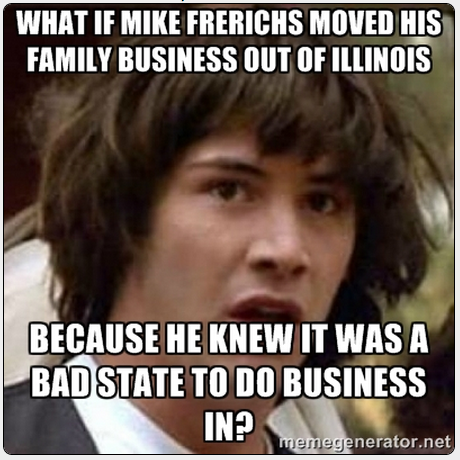 The ILGOP has released five questions Mike Frerichs, Democrat for Treasurer, needs to answer. We urge members of the media to #AskMike these questions.